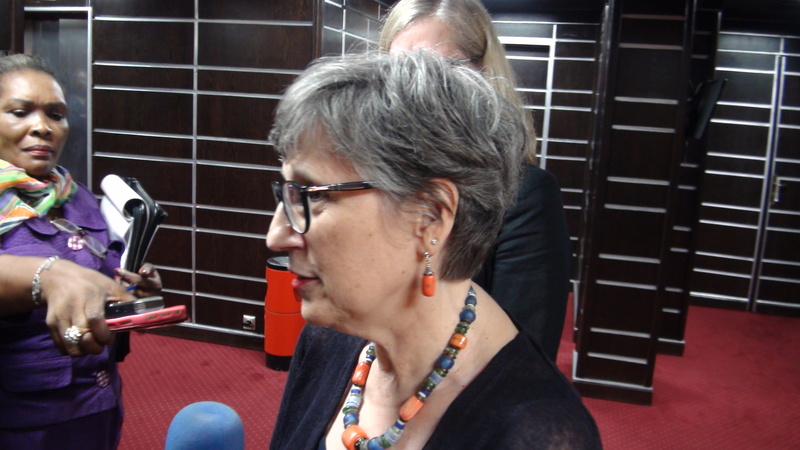 Canada has pledged to donate the sum of 6.65 million dollars for humanitarian assistance which will this time around include the South West and North West Regions as well as the refugees and internally dispalced persons (IDPs) in the Eastern and Northern Regions in Cameroon. This announcement was made by the Canadian Assistant Deputy Minister of Sub-Saharan Africa and Global Affairs,Leslie NORTON, at the end of a long audience granted her by Prime Minister, Head of Government, Dion Ngute on Wednesday, April 10, 2019 at the StarBuilding. The visit of the Canadian Minister, is the third by a high ranking personality from that country in the past twelve months. Talks between the parties dwelt on issues of commom interest. such as the up-coming elections and the importance of decentralisation, bilingualism and trade missions were .touched. At the end of the audience, the High Commissioner told the press that discussions with the Prime Minister, Head of Government, had centred on issues of common interest, on the understanding that their two countries maintain very good relations since the independence of Cameroon . In fact, the two countries share common values ​​such as bilingualism (French-English), and they belong to multilateral institutions such as the International Organization of La Francophonie, the Commonwealth and the United Nations. 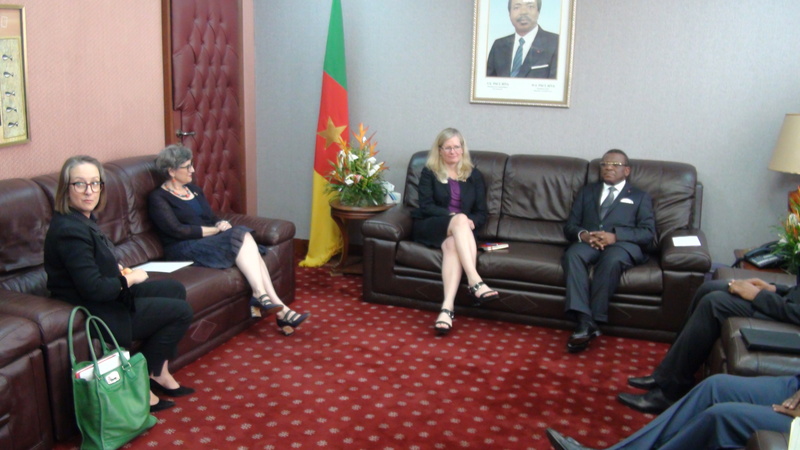 The Deputy Minister was therefore here to inquire about how things are evolving in Cameroon and to explore other ways and means to strengthen this collaboration and, to the extent possible, bring Canadian expertise in the areas of decentralization, bilingualism and of multiculturalism. Canada also has the expertise in energy, information technology and communication, infrastructure and trade that it could validly put at the service of its partner that is Cameroon. In addition, both parties spoke of the humanitarian situation in the English-speaking area and in the Far North of Cameroon. The Deputy Minister has also on this part, hinted that his country undertakes to give $ 6, 65 million as aid to Cameroon for the year 2019 as humanitarian support. With elections on the horizon, the meeting with the Head of Government was an opportunity to discuss how, Canada could, as in the past, lend a hand to Cameroon either in the organization or in the supervision or observation thereof. 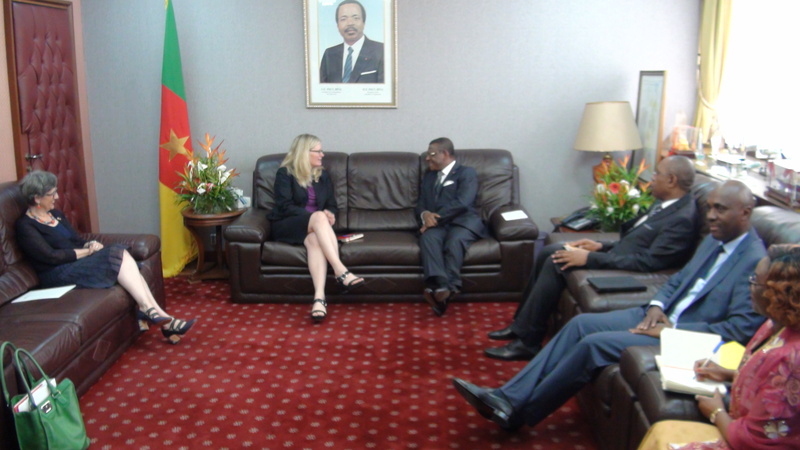 Mrs Leslie Norton was accompanied to the Star Building by Canada's High Commisioner in Yaounde, H.E. Nathalie O'NEIL.